A theory that has gained considerable attention in international media, including Newsweek and the CBS broadcast 60 minutes, suggests that antidepressant drugs such as the SSRIs do not exert any actual antidepressant effect. A research group at the Sahlgrenska Academy has now analyzed data from clinical trials and can rebut this theory. 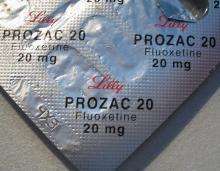 However, if SSRIs had, indeed, acted merely by means of a placebo effect, these drugs should not outperform actual placebo in clinical trials where patients have been treated with an SSRI or with ineffective placebo pills, and where neither the physician nor the patient knows which treatment the patient has been given until the study is over. The analysis, which comprised a total of 3 344 patients, shows that the two studied drugs are clearly superior to placebo with respect to antidepressant efficacy also in patients who have not experienced any side effects. The theory that antidepressants outperform placebo merely by means of side effects making the patient aware that they have not received placebo, and enhancing the expectancy of improvement, may hence be rejected.